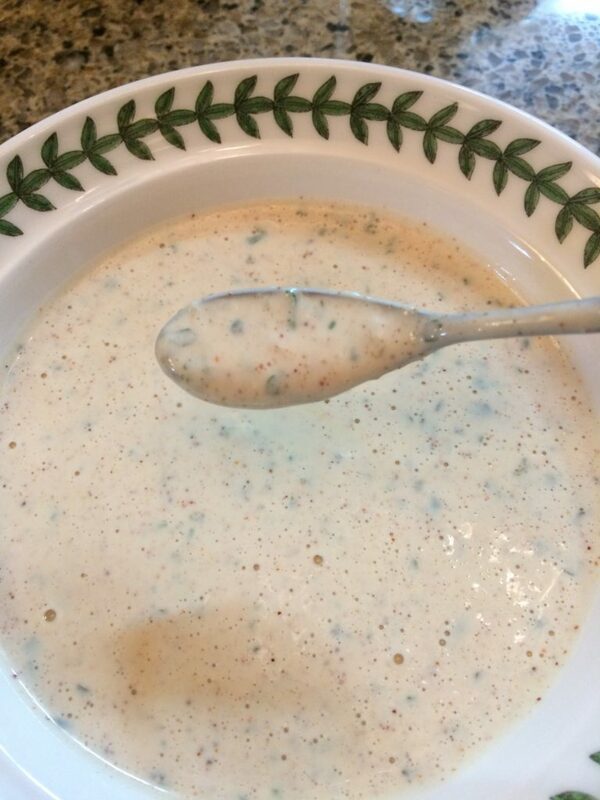 Once you've had Homemade Southwestern Ranch Dressing no store bought dressing will ever taste the same. 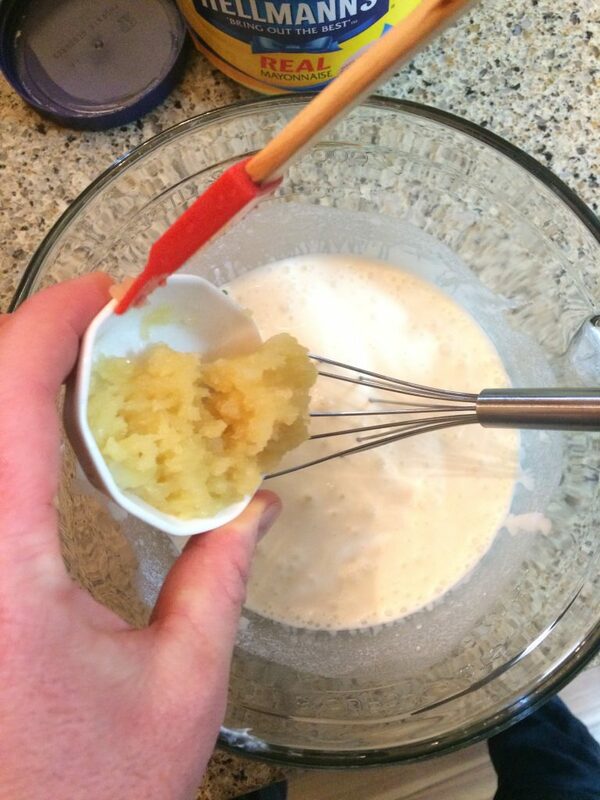 Store bought varieties often lack the ingredients for making it taste fresh. Gather the ingredients for making southwestern ranch dressing. 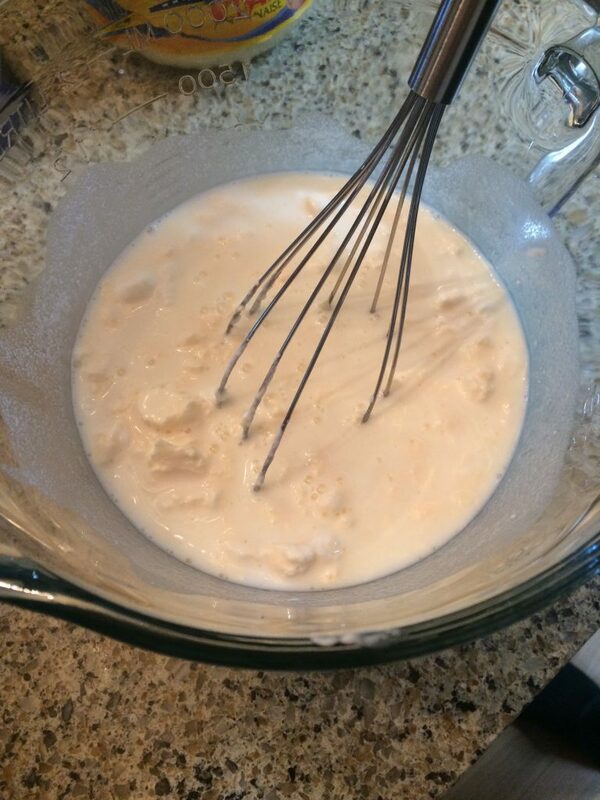 Measure 1 cup of buttermilk and put it in a mixing bowl or large measuring cup. 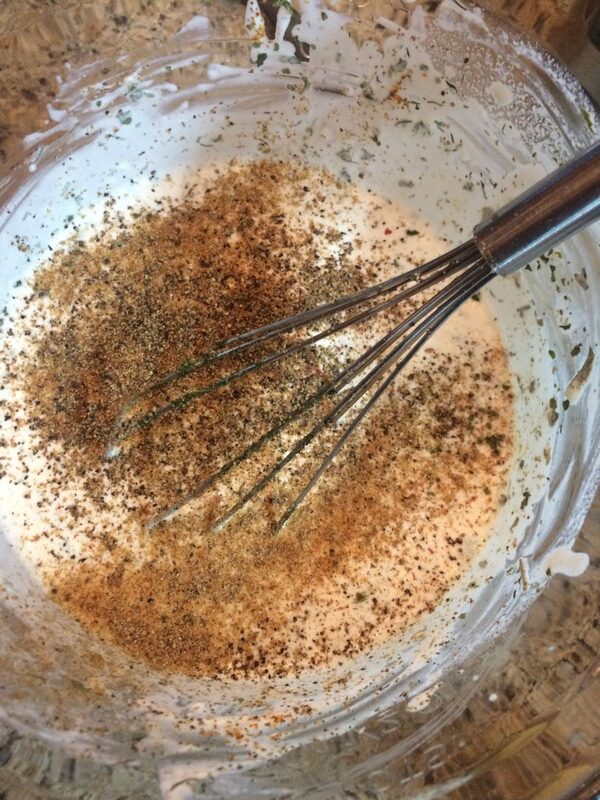 Add to it 1/2 cup of greek yogurt. 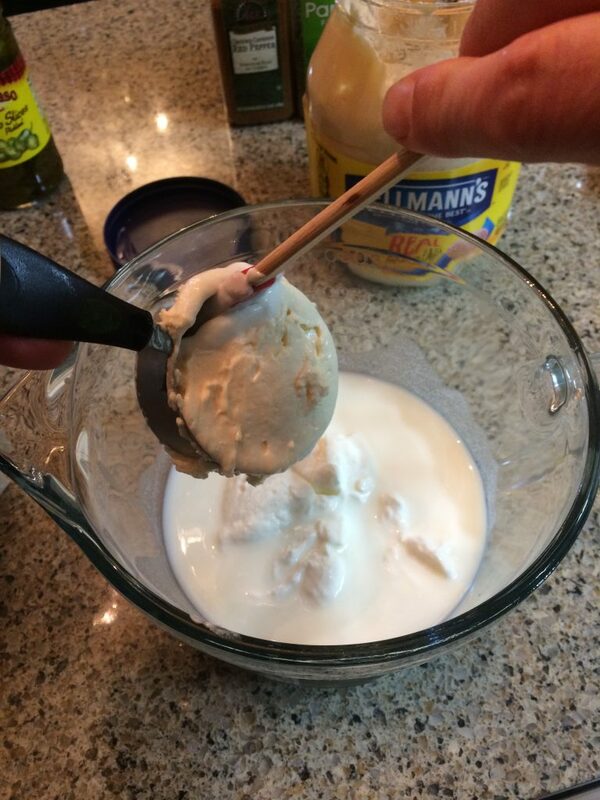 Whisk buttermilk, greek yogurt, and mayo together. 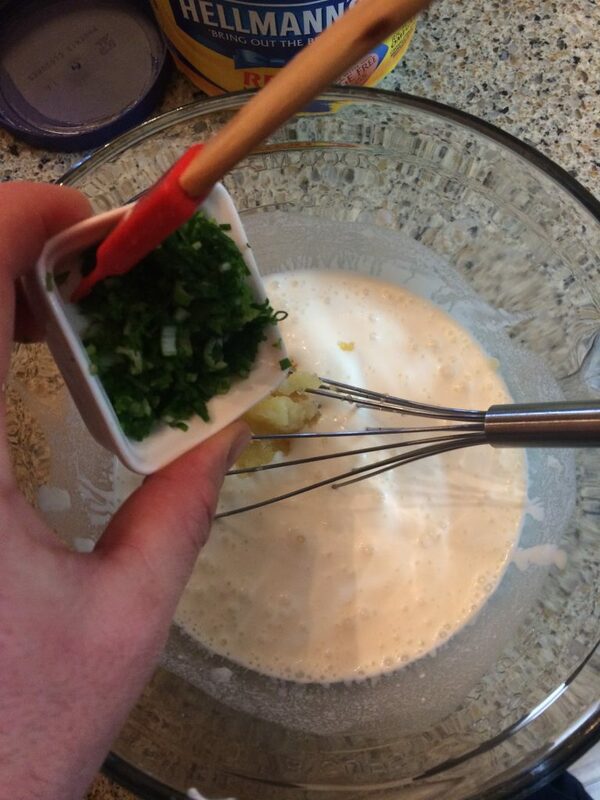 Whisk garlic and onion into the dressing. 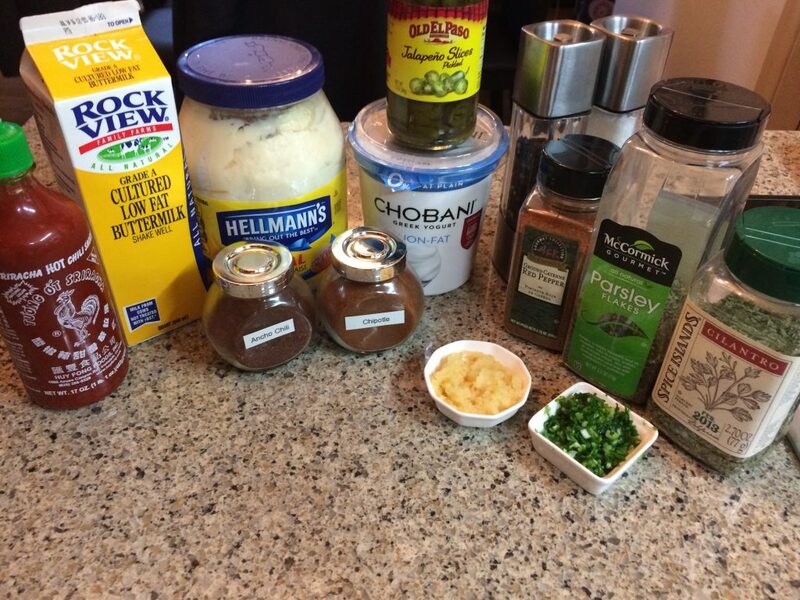 Add the cilantro, cayenne pepper, ancho chili powder, chipotle chili powder, siracha, lemon juice, and jalapeño. 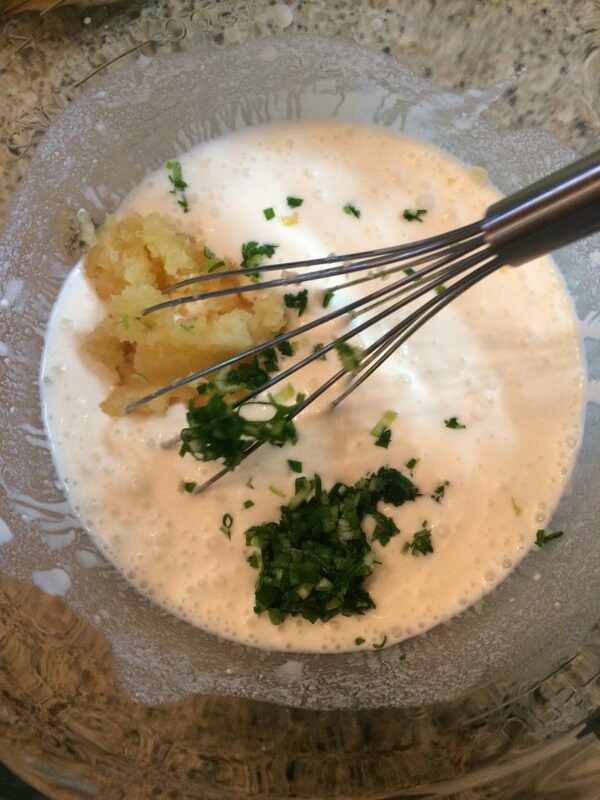 Whisk everything together. The reason this is so very low in calories is because we are using greek yogurt instead of using sour cream. 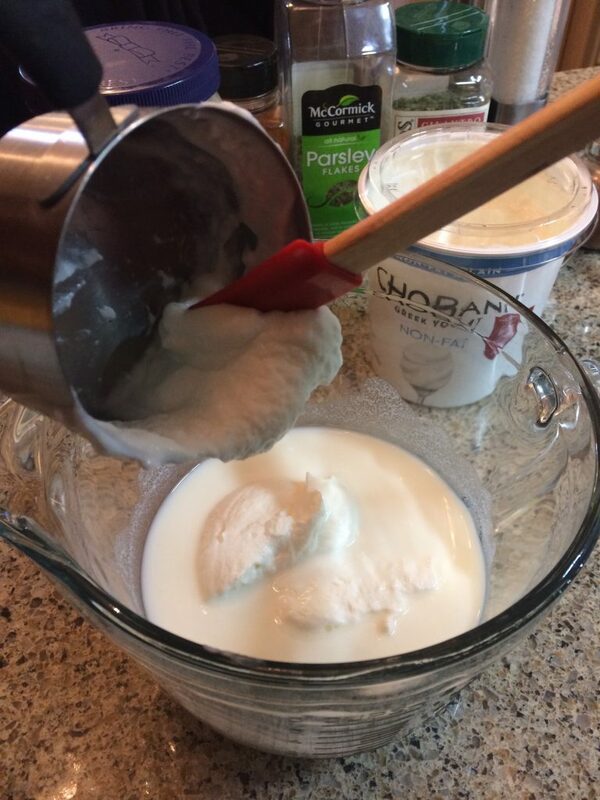 Greek yogurt is much more healthy, and tastes almost identical to sour cream.